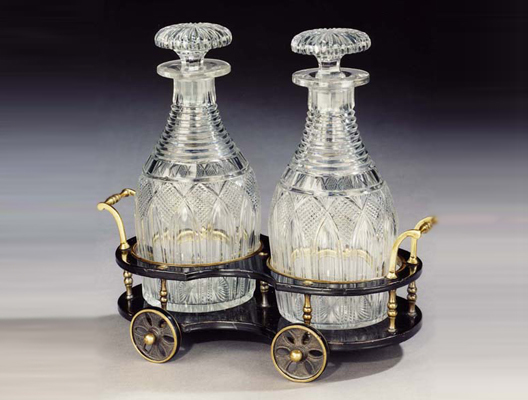 A fine quality English early 19th century double decanter wagon, being executed in papier mâché with lacquered brass mounts, handles and wheels. 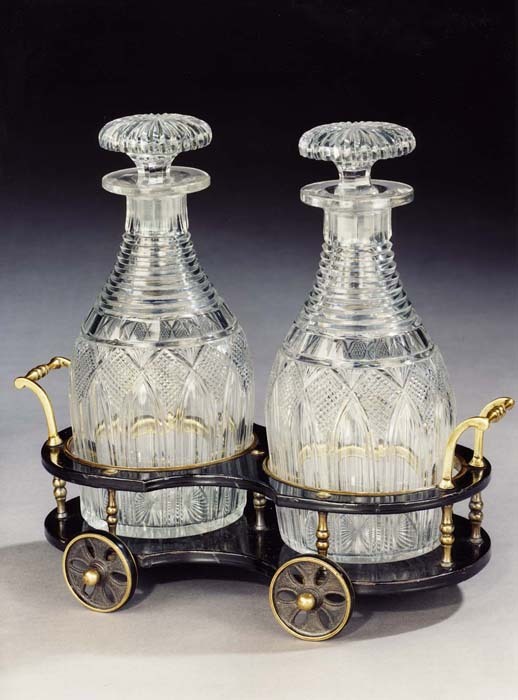 For an identical decanter wagon see Robin and Gillian Walkling, The Book of Wine Antiques, Antique Collectors’ Club, 1986, p. 189, pl. 195. Maximum height 4 7/8in (12.5cm). Maximum length 12 1/2in (31.7cm). Maximum width 7 1/2in (19cm).